Tiger Trailers is to build the UK’s most advanced trailer and commercial vehicle body manufacturing facility, announcing a £22m investment programme on the opening day of the CV Show in Birmingham earlier this week. The new Tiger facility will sit on a 20-acre plot of land – four times the size of its current Winsford base – and see the creation of more than 270 new jobs, including up to 80 within the next 18 months. The company will break ground on the new site in early 2018, with production to transfer into the new facility later in the year. Joint Managing Directors John and Steven Cartwright say the investment will facilitate further expansion as the company grows, whilst continuing Tiger’s ethos of containing the entire manufacturing process under one roof. 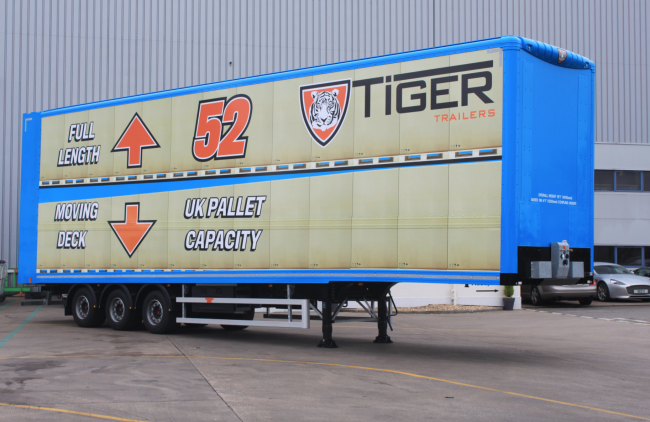 Tiger has already manufactured 2,500 trailers since being founded three years ago. 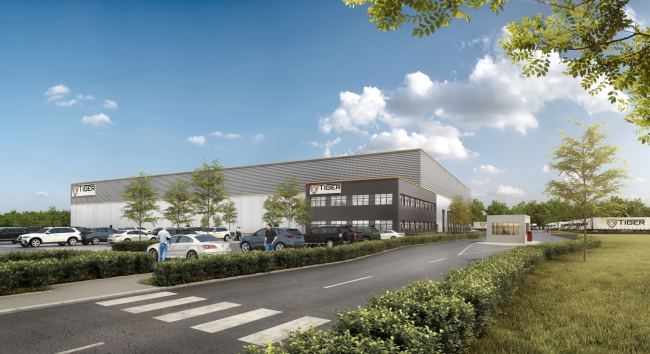 The expansion will take place in two phases – an initial £14m investment will see a 125,000 sq ft factory built on a new site in Cheshire. It will offer multiple production lines and an improved logistical flow for moving materials into and around the factory, plus a dedicated trailer showroom. It will also house a fully-equipped training school to help develop the next generation of talent, plus boost facilities to double Tiger’s painting capacity. The new premises will incorporate a weighbridge, flagship customer meeting facilities and parking for 350 cars as well as trailer parking. Tiger currently employs a team of more than 200 staff and has the capacity to manufacture approximately 35 products per week in its existing factory, which sits on five acres of land. With the completion of phase one, the company will grow its workforce to nearly 300 people – allowing production capacity to rise to approximately 65 units per week. It will also see the installation of the first moving production line for Tiger Trailers, bringing new efficiencies to the business. Phase two will be timed to meet business demand, and allow the seamless addition of a further 100,000 sq ft of manufacturing capacity on-site, and will grow the workforce to a 500-strong team, with a production capacity of around 120 trailers per week. Tiger Trailers was founded in April 2014 by John and Steven Cartwright, who brought a new and exciting trailer and bodywork manufacturer to the road transport industry. Their vision was to create a modern, state-of-the-art manufacturing facility, consolidated under one factory roof. This vision was realised in Winsford, Cheshire and for the first time in more than two decades, a new UK manufacturer arrived in the marketplace and Tiger was born. Today this privately owned, family business is rapidly growing into one of the UK’s leading manufacturers. Employing a team of nearly 200 staff, it has attracted a high profile and diverse range of customers spanning the haulage, logistics, retail and parcel sectors in both the UK and mainland Europe.